We are engaged in offering an optimum quality array of Ceremony Management Services for our esteemed customers. 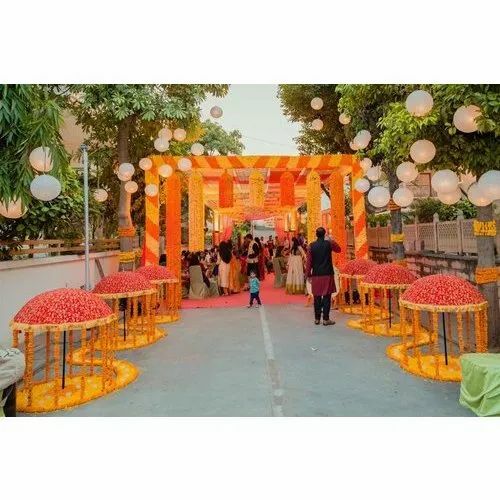 Offered array of ceremony management services is rendered using top grade resources under the direction of design experts with following the industry quality norms. Established in 2008, Pink Pearl Events has gained an estimable position in service providing of Anniversary Services, Artist Management Services and Ceremony Services. These services are extremely well-liked by customers owing to their hassle-free implementation, timely execution and stress-free completion. Our provided services are accomplished by employing progressive techniques and creative ideas. In addition, our firm has selected knowledgeable experts who give complete support to attain the trade objectives in efficient way. We render these services in varied forms that meet on client’s demand.